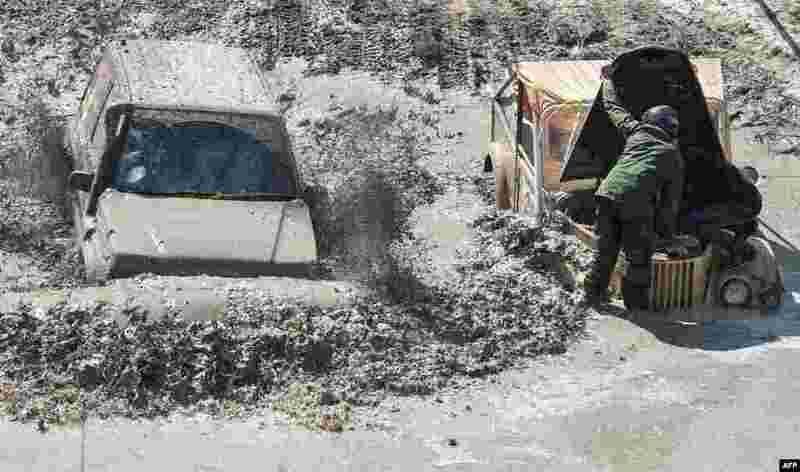 5 Drivers compete during the Jeep Sprint Festival organized by 'Offroad Kings' club in the village of Ozernoe, some 35 km from Bishkek, Kyrgyzstan, April 14, 2019. 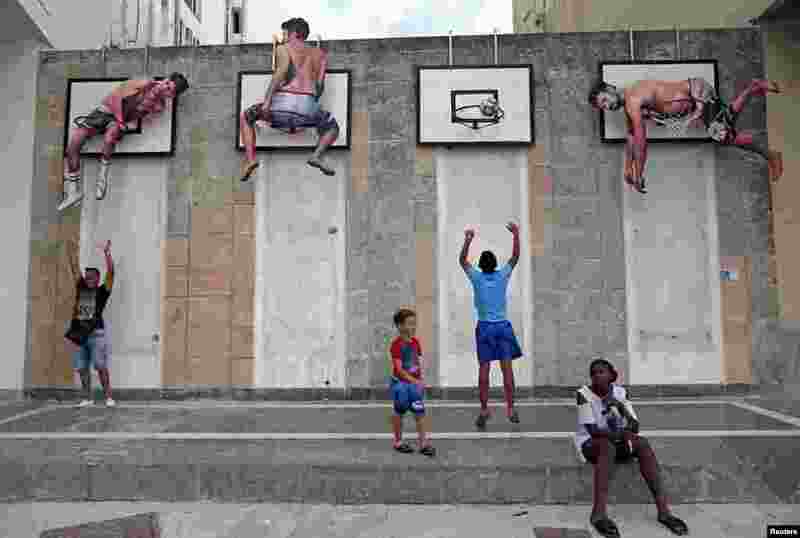 6 Workers take a break as they prepare election materials in a warehouse in Jakarta, Indonesia. 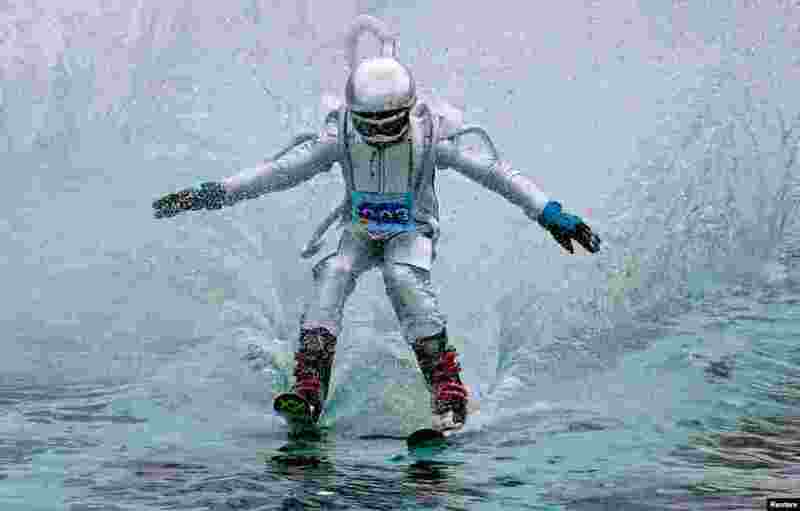 7 A skier in a festive costume attempts to cross a pool of water at the foot of a ski slope while competing in the annual Gornoluzhnik amateur event to mark the end of the ski season at the Bobrovy Log ski resort in the suburbs of the Siberian city of Krasnoyarsk, Russia, April 14, 2019. 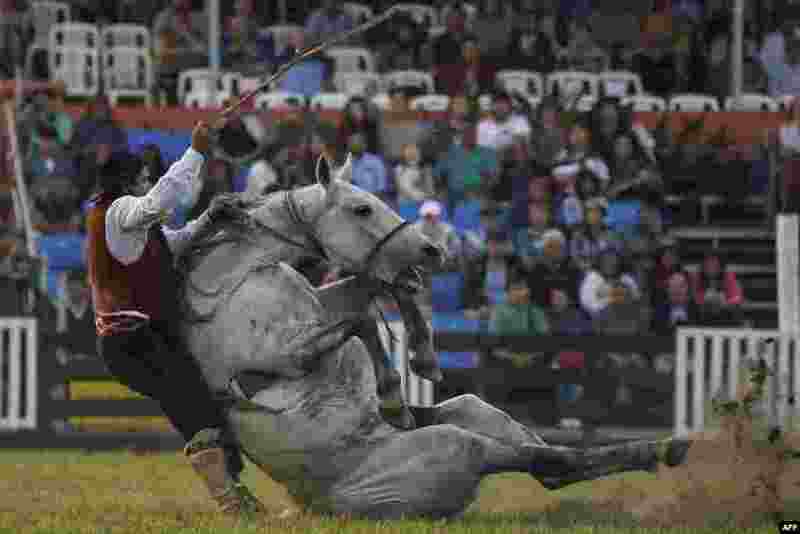 8 A gaucho falls from a bucking colt during the traditional rodeo week in Montevideo, Uruguay, April 14, 2019. 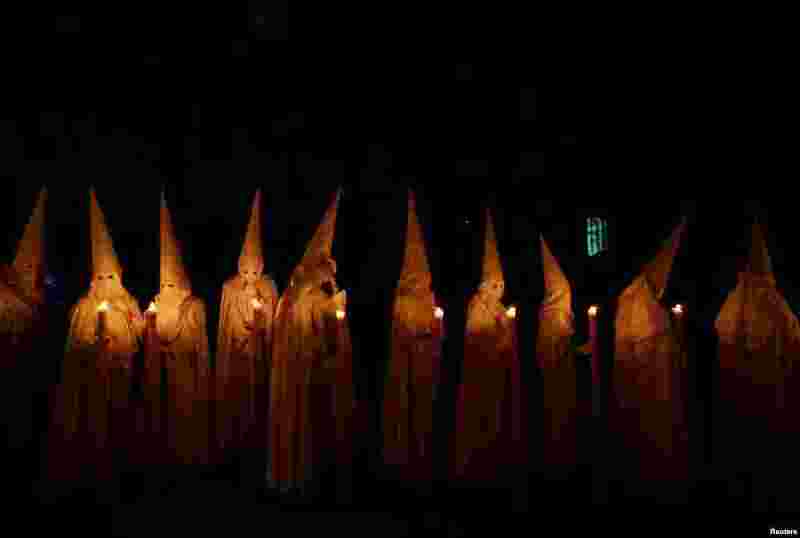 9 Penitents of La Paz (The Peace) brotherhood take part in a procession during Holy Week in the Andalusian capital of Seville, Spain, April 14, 2019. 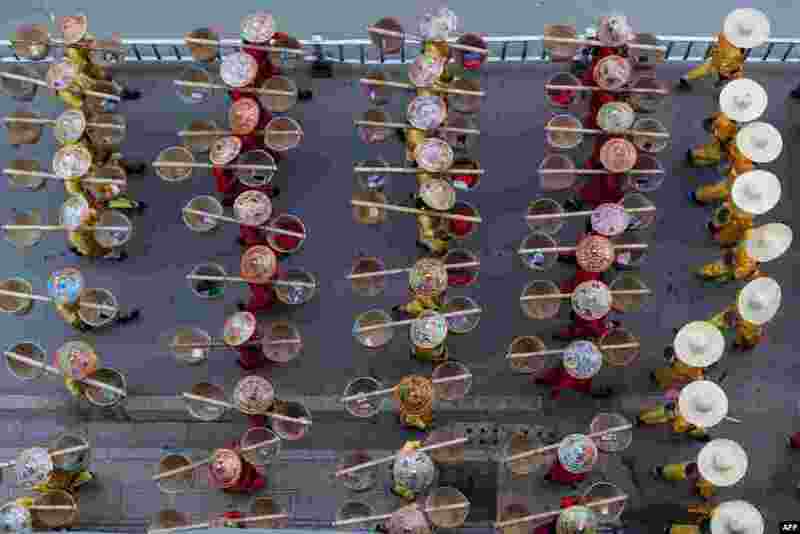 10 Shan ethnic people participate in a rehearsal in Panghsang, Myanmar, ahead of a military parade to celebrate 30 years of a ceasefire signed with the Myanmar military. 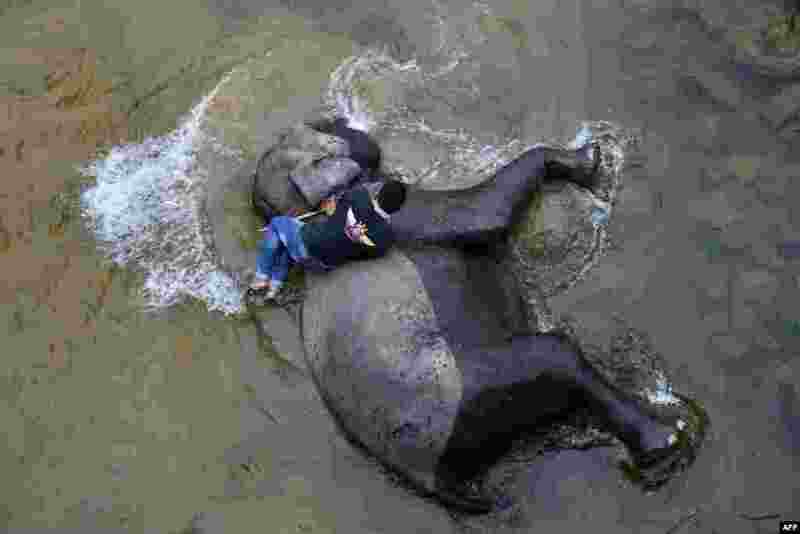 11 A mahout bathes a Sumatran elephant in a river at Trumon animal corridor in Leuser ecosystem area, Southern Aceh province, Indonesia.